All along, we’ve maintained open dialogue with stakeholders, making every effort to understand and respond to the needs of the neighbourhood’s current residents as we plan and prepare for the influx of new residents. In this way, we have built a great deal of trust among stakeholders. We designed and built a temporary community garden for residents (to be replaced in 2016 by a permanent garden in Crossroads) and we host monthly community garden parties during the summer to bring residents together. 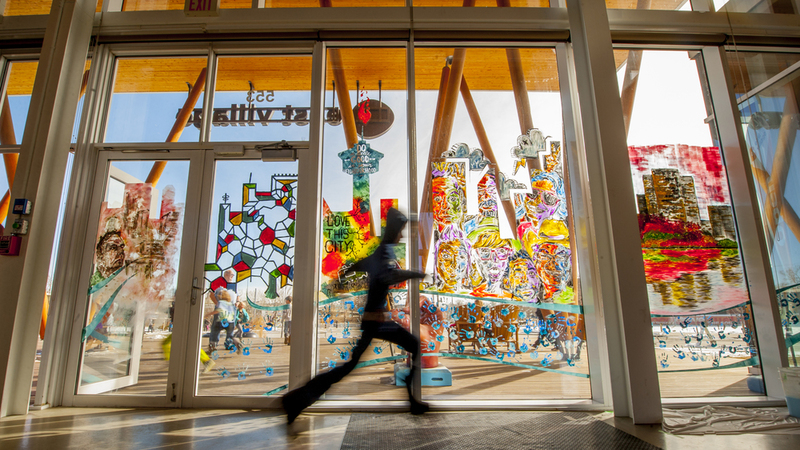 Our work extends south of 9th Avenue to our neighbours in Victoria Park and Stampede Park – key stakeholders in the redevelopment of the Rivers District. We work with these groups to facilitate civic events like the Stampede Parade, and we engage with them in planning for projects like RiverWalk Stage 2. We regularly collaborate with educational partners Bow Valley College and University of Calgary to identify and offer new learning opportunities for students.